are on staff at a variety of hospitals around the greater Los Angeles area. to find out if MACS Facelift is right for you. The days where facelifts resulted in a “windblown” appearance or are “pulled too tight” should be long gone. 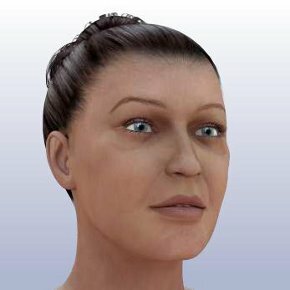 Over the past decade, as we have learned how the face ages, we have changed our perspectives on how to treat facial aging – all while refining our techniques. We have learned how to accomplish the same goals through smaller incisions. We have learned to replace what has been lost through atrophy without overdoing it. Aging is the natural wear and tear of the body’s component parts. It’s inevitable, and endlessly intriguing. While many age-related changes cannot be prevented, a lifestyle that includes exercise and a well-balanced diet will slow or minimize many problems related to aging. Skin – As we age collagen and elastin degenerate, setting the stage for the appearance of wrinkles, crease, folds, and furrows. Muscle – As muscles age, they begin to shrink and lose mass. The number and size of muscle fibers decrease. This makes muscles less responsive in our 60s than they were in our 20s. 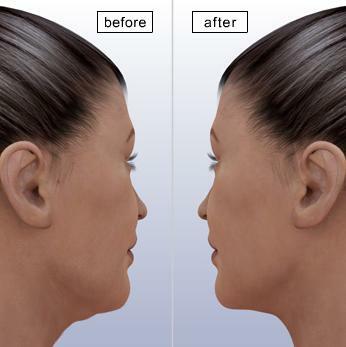 Fat – There are 13 different discrete fat pockets in the face that result in a youthful appearance. As we age, these fat pockets atrophy and become smaller, thereby leaving loose skin. Bones – The mineral content of bones decreases over time, and resorption of bone occurs over time. This leads to less prominent areas of the midface. 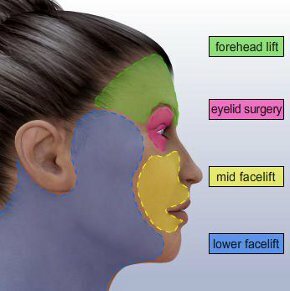 What to expect during your Facelift Consultation? 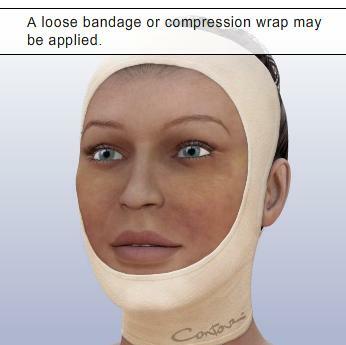 When your procedure is completed, a bandage could gently be placed around your face to minimize post facelift swelling and bruising. A thin tube may be present to drain any excess blood or fluid that may collect under the skin. You will be given specific instructions that may include: how to care for the surgical site, medications to apply or take orally to aid healing and reduce the potential for infection, specific concerns to look for at the surgical site or in overall health, and when to follow up with your plastic surgeon. What are the advantages of the MACS technique? 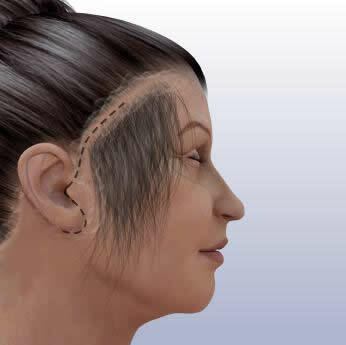 The Incisions are limited to the crease in front of the ears and the hairline above the ears. Since the area of skin freed from its underlying tissue is much smaller, the probability of post-operative bleeding and circulatory disturbances is also much smaller. It has long-lasting results because the soft tissue from upper neck, jowls, and cheeks is elevated and then firmly anchored to the deep strong structures of the temples. Because there is less trauma and manipulation of tissue, there is also less swelling and bruising, resulting on a more comfortable and faster recovery period. Because the cheeks are elevated and they no longer pull down on the lower eyelids, the eyes recover their youthful appearance. 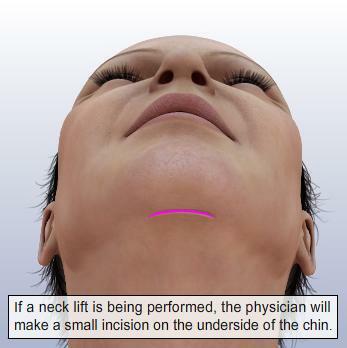 Because the facial surgery is preceded by liposuction of the neck, the freed skin and muscles can be elevated easily. 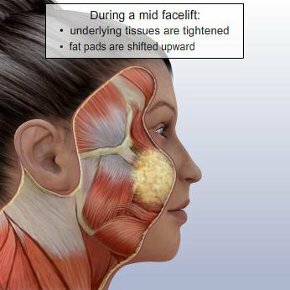 The MACS-Lift is ideal for the patient with sagging of the cheeks and mid-face and early changes of neck. 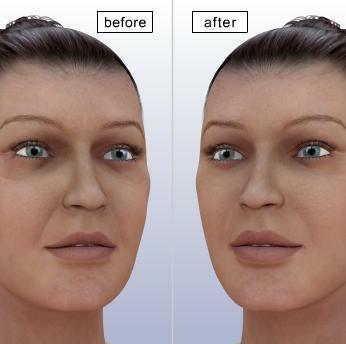 The results of the MACS-Lift are comparable to those achieved with more aggressive procedures. The procedure can be performed under sedation and on an outpatient basis.